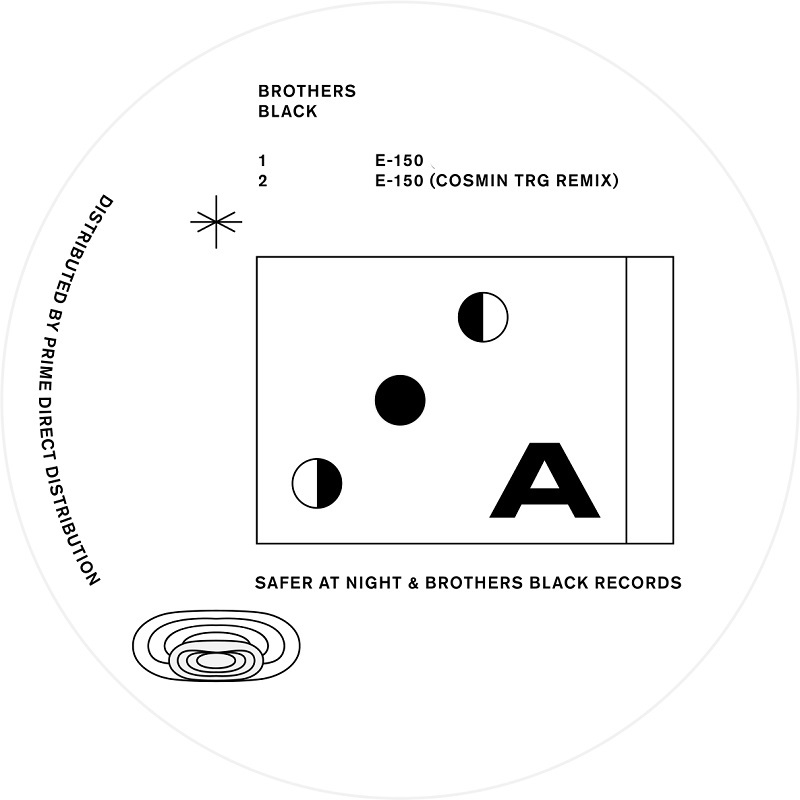 Brothers Black return with New York family label Safer At Night for a Safer At Night x Brothers Black collaborative vinyl release. Brothers Black kick off the EP with E-150, a bold, futuristic techno exploration that takes them away from the dance floor. Combining distorted, off-kilter rhythms with luscious space-age pads, they set a unique tone for the EP. On remix duties is highly acclaimed producer and DJ, Cosmin TRG. Known for his trademark production style, Cosmin delivers a clubfocussed remix that draws on the original. Mixing a tight, hypnotic groove with the sampled pads of the original, Cosmin’s remix brings out his UK influences with hints of 90s nostalgia. 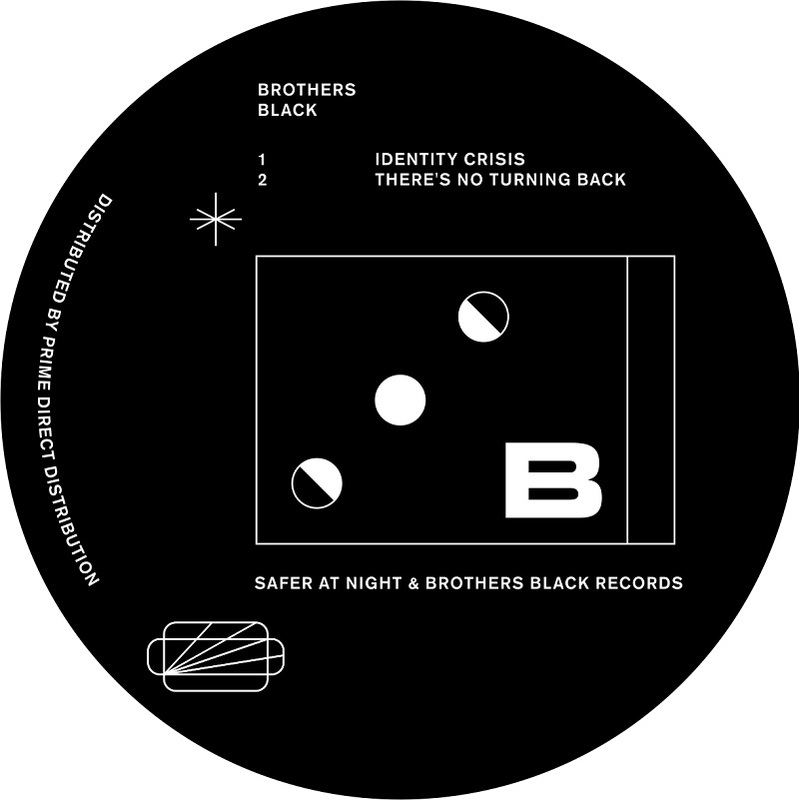 For the B-side Brothers Black return to a dance-floor focus with Identity Crisis. Combining a galloping groove with FM bells and a haunting pad, this melodic tool is perfect for any time of the night. In keeping with trademark Safer At Night release formatting, the Brothers deliver There’s No Turning Back, an emotive ambient piece. Combining classic percussion and rich pads, the B2 creates a nostalgic tone to round off the EP.